Get lucky when you spin to win Rainbow Riches Pick n’ Mix online slot game! Play with up to 3 bonuses and enjoy multipliers, FREE Spins and more! 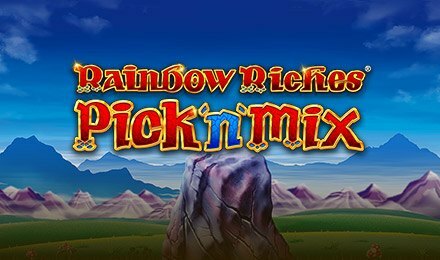 Rainbow Riches Pick n’ Mix Slots has 5 bonuses, and the best part is that you can choose which 3 you want to play with! Each bonus has an accompanying Scatter symbol, and when you spin 3 or more that bonus will begin, rewarding you with FREE Spins, multipliers up to 500x and more! The Rainbow Riches Pick n’ Mix Bonuses include: Road to Riches, Magic Toadstool, Free Spins, Pots of Gold and Cash Crop. Which 3 will you select?